The purpose of the study is to identify and explore risk factors of serious adverse drug events (SADE) and SADE-related admissions in acutely hospitalized multimorbid older adults and assess whether these could have been prevented by adherence to the prescription tools Screening Tool of Older Persons’ Prescriptions (STOPP) and The Norwegian General Practice (NORGEP) criteria. Cross-sectional study of acutely admitted patients to a medical department in a Norwegian regional hospital. Eligible patients were community-dwelling, receiving home care services, and aged 75+, with ≥ 3 chronic diseases. Medications and information regarding the admission were retrieved from the referral letter and medical records, while an expert panel identified SADE using the Common Terminology Criteria for Adverse Events and SADE-related admissions. We included 232 patients. Mean (SD) age was 86 (5.7) years, 137 (59%) were female, 121 (52%) used 5–9 drugs whereas 65 (28%) used ≥ 10. We identified SADEs in 72 (31%) of the patients, and in 49 (68%) of these cases, the SADE was considered to cause the hospital admission. A low body mass index (BMI) and a high Cumulative Illness Rating Scale-Geriatrics (CIRS-G) score were independent risk factors for SADEs. Among the SADEs identified, 32 (44%) and 11 (15%) were preventable by adherence to STOPP and NORGEP, respectively. We found a high prevalence of SADE leading to hospitalization. Risk factors for SADE were high CIRS-G and low BMI. STOPP identified more SADEs than NORGEP, but adherence to the prescription tools could only to a limited degree prevent SADEs in this patient group. Polypharmacy is frequent in aged populations [1, 2, 3] and increases the risk of inappropriate prescribing  and adverse drug events (ADE) in old frail people . Older patients with polypharmacy and inappropriate medications are more prone to acute hospitalization . ADEs in older people can be difficult to identify. In geriatric medicine, unspecific symptoms like falls, delirium, urinary incontinence, and functional decline are frequent reasons for hospital admission. ADEs often mimic such symptoms and are easily misinterpreted or not recognized [7, 8]. Several studies have estimated the prevalence of hospital admissions due to ADEs, but their quality varies. A meta-analysis revealed prevalence estimates between 4 and 46%, with a mean prevalence of 11% in populations of patients > 65 years . Another systematic review of observational studies reported a prevalence rate of ADE of up to 11% in older adults . ADEs are reported to lead to prolonged hospital stay, a twofold increase in the risk of death, and higher costs . Prescription tools used to optimize patients’ drug treatment are being increasingly studied. The first tool in widespread use was the American Beers criteria, last updated in 2015 [12, 13]; a Norwegian modification of the Beers criteria constituted the Norwegian General Practice (NORGEP) criteria . These are lists of drugs explicitly regarded as inappropriate. The Screening Tool of Older Patients’ Prescriptions (STOPP) was updated in 2012 and provides rules for inappropriateness that are linked to specific clinical contexts . STOPP is translated into many different languages including Norwegian and is commonly used in hospitals all over Europe . STOPP is generalizable across different European countries with a high inter-rater reliability between physicians using versions in their mother tongue . A high share of older hospitalized patients is being prescribed a potentially inappropriate medication (PIM) according to the STOPP criteria. Many ADEs are reported to be preventable by adherence to the prescription tool [18, 19]. The STOPP criteria have also been found to be more sensitive than the Beers criteria in identifying PIMs in older hospitalized patients [15, 16, 18, 19, 20]. The utilization of prescription tools has, however, certain limitations, and the effect on mortality and other clinical outcomes is scarcely explored [21, 22]. In the Netherlands, a pharmacist made a full clinical medication review in an old community-dwelling population with multipharmacy, and only 19% of the identified drug-related problems (DRPs) were associated with a STOPP criterion , indicating that the problems related to complex drug regimens are not easily captured by lists of inappropriate drugs. There is a shortness of studies evaluating the utility of explicit prescription criteria in order to achieve a reduction in SADE, particularly in populations including frail old adults and people with dementia and other psychiatric illnesses [20, 24]. Moreover, little is known about risk factors for SADEs in such populations . Accordingly, the aims of this study were to identify serious adverse drug events (SADEs) in a multimorbid population of older adults acutely admitted to hospital, to assess whether the SADEs caused the admission, to explore risk factors for such events, and to assess whether the SADEs could have been prevented by adherence to the prescription guidelines STOPP or NORGEP. From April through October 2012, home-dwelling patients aged 75 years or more acutely admitted to the Medical Department at Vestfold Hospital Trust were considered for inclusion in this study. Eligible patients had to receive home services prior to the admission and to suffer from at least three known chronic conditions at the time of admittance. Vestfold Hospital Trust is the only hospital serving the 12 municipalities in Vestfold County (221,100 inhabitants). Six of the 12 municipalities with a total population of 151,300 wanted to take part in this study of hospitalization of old people. The hospital is governmental financed and offers health services to all inhabitants regardless of economic and social status. A project nurse who scrutinized the lists of emergency admissions every day recruited the patients. Patients not able to give informed consent, who were terminally ill, or who lived in a long-term care facility prior to admission were excluded. Possible eligible patients were approached shortly after admission, normally the day after. Two doctors, one consultant (LTH) and one resident (MSW-H) in geriatric medicine, scrutinized all medical records of the included patients. Complete information regarding the current acute hospital admission, all evaluable information regarding prior admissions and medications used at admission, was retrieved from the referral letter, the electronic patient records, and the patient administrative system. The Mini-Mental State Evaluation-Norwegian Revised Version (MMSE-NR)  was used as a cognitive screening test. Height and weight were measured, and body mass index (BMI) was calculated. The patients’ present drug use at the time of admittance was obtained from the medial records, the referral letter, and the ward notes. A clinical pharmacist additionally calculated defined daily dosages (DDD) and classified all drugs according to the Anatomical Therapeutic Chemical classification system (ATC code). Information about comorbidity was obtained thorough all available sources, such as the patient record, the admittance letter, and information from the home nursing services. The total score of the Cumulative Illness Rating Scale for Geriatrics (CIRS-G)  was calculated for each patient. We particularly noted signs of delirium and cognitive decline, since these clinical problems often pass unnoticed in hospitals. To assess patients for ADEs, we used the Common Terminology Criteria for Adverse Events (CTCAE) version 4, which was developed by the US National Cancer Institute [28, 29, 30, 31], a method originally developed for the assessment of cancer patients undergoing chemotherapy. There are three general categories of adverse events (AEs) in the CTCAE: (1) laboratory-based events (e.g., hyponatremia), (2) observable/measurable events (e.g., hypotension), and (3) symptomatic adverse events (e.g., nausea) . ADEs were identified retrospectively by the use of CTCAE and based on information given in case notes, observations, and laboratory findings. One physician (MSW-H) classified all adverse drug events as lethal, life-threatening, serious, moderate, or mild. Mild and moderate ADEs were not analyzed further. All ADEs classified as lethal, life-threatening, or serious were defined as serious ADEs (SADEs) and considered for further analysis. As a second step, all proposed SADEs where re-assessed by a consensus group of two geriatricians (MSW-H and TBW). If we found any reason to believe that the symptom at stake could be caused by a disease rather than a drug event, it was excluded from the SADE list. By this approach, we aimed for an explicitly conservative assessment of SADEs. We also considered whether the ADE caused the admission to hospital, using a similar conservative approach. Patients suffering from more than one ADE were classified according to the presumably most severe state. The drug or drug combination causing the adverse event was recorded. Then, an extended consensus group consisting of two geriatricians (MSW-H and TBW) and a clinical pharmacist (HK) applied the STOPP and the NORGEP criteria to look for possible preventable SADEs caused by inappropriate drugs or drug combinations as defined by one or both of the prescription tools. A nurse in the respective municipality followed each patient regarding use of home care and changes in type of care for 1 year or until death. Time of death within 1 year after discharge was recorded by using data from the national registry connected to the patient administrative system in hospital. The data were analyzed using IBM SPSS Statistics for Windows, version 23.0, Armonk, NY, USA. The central tendency and variation of normally distributed variables was described by mean and standard deviation (SD) and by median and interquartile range (IQR) for non-normally distributed variables. Demographic and clinical characteristics between patient groups were compared using the independent sample t test for normally distributed continuous data, the Mann-Whitney U test for non-normally distributed continuous data, and chi-squared tests for categorical data. Bivariate and multivariate logistic regression analyses were performed to identify independent risk factors for SADE. No statistical preselection of possible risk factors for SADE was performed, but the correlation between all explanatory variables included in the multivariable model was inspected to avoid multicollinearity, and only variables with a correlation < 0.7 were included. For continuous explanatory variables, we checked that the relationship with the outcome was reasonably linear, and in other cases, the explanatory variable was categorized. The level of significance was set to 5%. Written informed consent was obtained from all the participants according to Norwegian legal regulation. The study has been approved by the Regional Committee for Medical Research Ethics and the Norwegian Social Science Data Services. The study population consisted of 232 patients. The mean age was 86 years, 137 (59%) were women, and 165 (71%) lived alone (Table 1). We stratified the study population into two groups based on the presence or absence of SADE at admittance. Characteristics of the groups were compared as shown in Table 1. There was no statistically significant age difference between the two groups, but patients with SADEs had significantly lower BMI, higher CIRS-G score, and more pronounced polypharmacy. We found no difference in cognitive function as measured by the MMSE-NR. Any ADE was considered to be present in 159 (69%) of the included patients (Table 2). Of these, 72 (31% of the total population) were considered as a SADE (67 severe and 5 life-threatening), and 49 (68%) of the SADEs were considered causal for the hospital admission. We classified the SADEs into 12 descriptive groups according to the most serious symptom present. The most frequent SADE was anemia or gastrointestinal bleeding caused by antithrombotic agents alone or in various combinations with interacting drugs such as non-steroidal inflammatory drugs (NSAIDS), glucocorticoids, and selective serotonin reuptake inhibitors (SSRI). Hypokalemia and hyponatremia induced by diuretics and drugs acting on the renin-aldosterone-angiotensin system was the second most frequent present SADE, and these electrolyte disturbances were attributable for the admittance in four of the cases. Falls and orthostatic hypotension were present in 12 patients, and in 11 of the cases, the SADE was a direct cause of the hospital admission (Table 3). These three groups accounted for approximately two thirds of the SADEs. Exposure to PIMs according to the STOPP and NORGEP criteria was present in 32 (44%) and 11 (15%) of the SADE patients, respectively (Table 3). Adherence to the STOPP criteria by consequently avoiding the use of PIMs could have reduced the risk of SADEs related to electrolyte disturbance and renal failure by 75%. Anemia, gastrointestinal bleeding, and arrhythmias were captured by the STOPP criteria in 21–29% of the cases. According to NORGEP, only three SADEs in the symptom categories anemia and two in patients with arrhythmias, renal failure, and hypotension were associated with the use of PIMs. According to the NORGEP criteria, the most commonly used inappropriate drug combinations causing SADEs were warfarin in combination with NSAIDS or SSRI and the use of three or more drugs from the groups centrally acting analgesics, antipsychotics, antidepressants, and/or benzodiazepines (BZD). Table 4 (Appendix 1) displays number of SADEs and potentially preventable SADEs within different drug classes. SADEs were most commonly associated with the use of dopamine agonists, NSAIDS, nitrates, and cardiac glycosides; these drugs caused a SADE in more than 20% of the users. Only a few of the SADEs were mentioned in the case notes of the patients. In two cases, patients were given a diagnosis of medication-related problems in the patient administrative system at discharge. We identified 49 of the 72 SADEs present in the study patients to be related to the reason for acute hospitalization (Table 3). Examples are clostridium difficile enterocolitis due to the use of antibiotics, severe sedation caused by BZDs, and hallucinations from dopaminergic agents. Based on our assessment, we estimate that at least 21% (49/232) of the included patients were acutely admitted to the hospital due to serious adverse drug events. Risk factors for SADE are displayed in Table 5. In bivariate analyses, a low BMI, the use of ≥ 10 daily medications, and a high CIRS-G score were associated with an increased odds for SADE. In the multivariate model, a low BMI and a high CIRS-G score were independent risk factors for having a SADE. The risk for having a SADE increased with approximately 9% per point increase in total CIRS-G score (p = 0.002) and decreased with approximately 10% per kilogram per square meter increased BMI (p = 0.006). Age and gender were not significantly associated with SADE, and neither was polypharmacy. In this study, among old home-dwelling people with multimorbidity acutely admitted to an internal medicine ward, we found that about two in three had an ADE on admission, of which near a half were characterized as serious (SADE). About two in three of the identified SADEs were considered to be the reason for admission. Strict adherence to the prescription tools STOPP and NORGEP could potentially have prevented 44% and 15% of the SADEs, respectively, indicating that the prescription tools may have limited preventive value when applied to older people with multimorbidity and complex pharmacological treatment regimes. The prevalences of ADEs as well as SADEs in our study population were high compared to previous findings [10, 32, 33], but lower than the prevalence of 80% reported in community-dwelling patients in Ireland . The relatively high prevalence may be explained by the characteristics of our study population. It has previously been shown that the risk of ADEs rises with increasing age, polypharmacy, and morbidity [10, 32, 35]. Patients enrolled in this study were old and had a high burden of comorbidity and pronounced polypharmacy [1, 5, 36, 37, 38]. Furthermore in the multivariate logistic regression analyses, patients with a SADE had significantly higher CIRS-G scores, more pronounced polypharmacy, and a lower BMI than patients without SADE. In accordance with other studies, we found increasing multimorbidity to be an independent risk factor for SADE [35, 39]. In the multivariate analyses, we also found the risk of having a SADE to be strongly associated with a low BMI. Low body weight is not reported as a risk factor for SADE in other studies , but might partly be explained by the decrease in lean body mass and total body water with a relative increase in total body fat, which alter the solubility compartments, distribution, and kinetics of some drugs . Low body weight is also associated with frailty; thus, indication can exaggerated vulnerability. Surprisingly, we found that polypharmacy did not have any impact on the outcome in adjusted models, neither did age or gender of the patients. This is not consistent with the results in a systematic literature review where the number of drugs was the most convincing risk factor . There is not one clear definition of polypharmacy in the literature, but polypharmacy is commonly defined as the use of 5–9 regular drugs, and excessive polypharmacy is defined as ≥ 10 regular drugs . Neither of these two definitions of polypharmacy had any significant impact on SADE in our study. The Italian scoring tool GerontoNet ADR risk score uses eight drugs as the limit for an important risk factor . When polypharmacy was defined according to this tool (≥ 8 drugs), we found a significant relation between polypharmacy and SADE with an OR of 2.06 in the multivariate model (data not shown). Knowing that the risk of drug-related problems increases linearly with the number of drugs used, the cutoff value for polypharmacy could be discussed . The SADEs were many and diverse and for some of the patients life-threatening, though no drug-related deaths were identified during hospitalization. This might have been different if terminally ill patients and patients receiving intensive care had been included. Although some of the events were life-threatening and severe, they were rarely recorded and documented in the hospital case files. This underlines that studies relying on documented diagnoses may underestimate the prevalence of ADEs [7, 8]. Anemia and gastrointestinal bleeding were the most prevalent SADEs and most frequently justified as reasons for the acute hospitalization in our patients. The symptoms were mainly related to the use of antithrombotic agents, which were used by four in five patients. Our finding is in line with previous studies that have shown antithrombotics to be among the drug classes counting for the most SADEs and drug-related hospital admissions [10, 33, 43, 44, 45, 46, 47]. Weighing risks versus benefits of pharmacological risk interventions is difficult in frail patients. In our population, nearly 50% were dead after 1 year, and the rate of bleeding complications from antithrombotic drugs was high. This illustrates that among the frailest patients, the risks may outweigh the benefits of antithrombotic drug treatment more frequently than anticipated by the clinicians. We have not considered the indication for antithrombotic use in this study, but avoidance of platelet inhibitors as primary prevention in frail older people is recommended in the newly published STOPPfrail guideline . However, anticoagulation and platelet inhibitors as secondary prevention are still recommended . We considered one in five of the hospital admissions to be caused by SADEs. There is a great variance (6–46%) in previously reported prevalence rates of drug-induced hospital admissions, depending on the age of the study population and how ADEs are defined . We used CTCAE to identify ADEs. This method is mainly used to classify adverse events in cancer patients undergoing chemotherapy [28, 29, 30], and less is known about its validity in a general geriatric population. However, we will argue that the methodology and structure of the instrument makes it feasible for elderly multimorbid patients as well. CTCAE prompts the assessor to evaluate each organ system in order, a highly relevant approach in patients with several morbidities, presumably increasing the chance of identifying all cases including those that commonly pass unrecognized [7, 8]. CTCAE is easy to use and is now available and validated in many European languages and in the newest version with a Patient-Related Outcome (PRO) version. Most of the former studies have defined ADEs according to the definition from Edward and Aronson  or different types of WHO criteria . Regardless of definition and prevalence, we find it important to reduce ADEs and drug-related admissions because admissions due to ADEs lead to longer stays, higher in hospital costs, and higher mortality . One approach to reduce drug-related problems such as ADE and hospitalization could be a strict adherence to the use of prescription tools. However, in this frail elderly study population, adherence to the prescription tool STOPP could potentially prevent less than 50% of the SADEs identified, and by use of the NORGEP, only 15% of the SADEs were potentially preventable. The low detection rate of the prescription tools underscores the need for an individualized and thorough clinical assessment, often supported by a multidisciplinary team approach, in order to optimize drug treatment in frail patients. This is supported by several studies that have reported that care based on a comprehensive geriatric assessment results in less polypharmacy and fewer inappropriate prescriptions as well as lower 6-month mortality [52, 53, 54, 55, 56, 57, 58, 59]. We found that admissions due to drug-induced electrolyte disturbances and renal failure to a larger degree than other drug-related admissions were potentially preventable by the use of prescription tools. Two out of three cases of falls, syncope, and hypotension might also have been prevented by adherence to the STOPP criteria. The potential preventability was least for gastrointestinal bleeding and for side effects of combinations including antiarrhythmic agents inducing bradyarrhythmias. In medical departments, patients often are discharged with more drugs than they had at admission , indicating that prescription tools are perhaps not widely used. This might in turn be due to limited feasibility (such as work practice and resource availability) or the self-efficacy (relating to knowledge skills and decision support) by the treating physician . Importantly, the prescription tools define potentially inappropriate medications and not medications that are definitely inappropriate. The drug response in elderly people can vary due to divergent aging process, functional status, organ function, and morbidity. Potentially inappropriate drugs might be needed and well tolerated in some, while others might experience harmful adverse effects. Accordingly, drugs listed as potentially inappropriate drugs should not be interpreted as drugs to be avoided in all older people. This is a general limitation of all explicit drug criteria lists and limits their utility as prescription tools in clinical settings. In addition to the explicit tools we have used, different implicit tools have been suggested. The implicit tools are judgment based and therefore even more time-consuming and require more clinical expertise. They have mainly been used in research and not in clinical practice. Their main advantage is that they focus on each patient and his or her clinical condition, and decisions about prescribing appropriateness are made at an individual level. 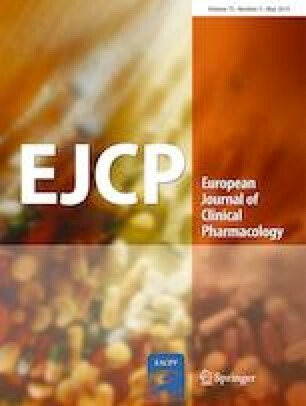 Although both explicit and implicit prescription tools are useful to increase the clinician’s awareness of potentially inappropriate prescriptions to older people, the simplification inherent in such general assessment tools limits their application to complex individualized pharmacological treatment of older people . Novel prescription tools include de-prescribing algorithms, computerized assistance programs, and combinations of explicit and implicit tools like the Systematic Tool to Reduce Inappropriate Prescribing (STRIP). They are yet sparely evaluated, but might be promising [63, 64, 65, 66]. In Canada, a national initiative to do an ecological approach for de-prescribing purposes, the Canadian de-prescribing network (CaDeN), has been initiated . The main goal of the project is to promote the appropriate use of medications and non-pharmacological approaches to care, especially among older people. We look forward to follow this project, which is a new way to challenge polypharmacy. For the patient group with high age, multimorbidity, and often cognitive decline, it is crucial that the health professionals treating their conditions have good knowledge and information concerning prescribing and de-prescribing. This research project was a cooperation between six municipalities and the hospital. To be included, the patients had to receive home care services prior to the admission in hospital. This criterion was chosen of practical reasons, making it easier to follow the patients for 1 year after inclusion. However, these inclusion criteria might have increased the proportion of patients with a limited social network, a group that may also have an increased risk of adverse events. For ethical reasons, a signed, informed consent was demanded, obviously limiting the generalizability of the results for patients with severe dementia and psychiatric disorders. Nevertheless, compared to previous studies, our population is older and has higher comorbidity index and more pronounced polypharmacy. Although we have used CTCAE, which was originally developed for classifying adverse events in cancer patients undergoing chemotherapy, we assume that the use of CTCAE in combination with a thorough review of the case records improves the validity of our findings. Still, we cannot rule out that we might have overestimated the number of SADE. On the other hand, our conservative approach and the fact that the patients often go unrecognized might have led to an underestimation. Our approach with strong emphasis on clinical judgment improves face validity, but makes the evaluations difficult to reproduce. This was a cross-sectional, single-center observational study, initially planned as a quality improvement project. Accordingly, there may have been weaknesses in data acquisition. Previous studies have shown medication discrepancies between hospital case notes and prehospital medication use . The precision of the drug lists may have varied between the wards due to different approaches to check their correctness. As this was an observational study, it was not possible for us to carry out removal or withdrawal of drugs for a proper causality assessment as described in the WHO-UMC . Furthermore, drug-related admissions due to non-compliance or potential prescribing omissions were not recognized. . Only prescribed drugs taken regularly were considered in this study; hence, SADEs that might have been related to over-the-counter drugs and drugs used as needed were not recorded. We found a high prevalence of SADEs and SADEs leading to hospitalization in this old and multimorbid hospital population. Risk factors for SADE were a high CIRS-G score and a low BMI. Adherence to STOPP and NORGEP could only to a limited degree potentially have prevented SADEs in this patient group. For prevention of ADE in frail old people, STOPP may be of some use. However, also this tool reveals only a limited number of SADEs and can be recommended for patients with complex drug regimens only as a supplement to a comprehensive geriatric assessment with a multidisciplinary approach. This study was funded by the Vestfold Hospital Trust and the Norwegian Health Directorate.